A battle is brewing between two groups, the Indian tribes and supportive organizations such as the Lakota People’s Law Project, and the state officials and Non Government Organizations that profit enormously off of the foster care/adoption industry on the other. But while that battle will continue to play out, at least some common ground has emerged — South Dakota is systemically corrupt, flagrantly and continuously violating federal law by separating Indian children from their homes and then placing them in non-Native (and profitable) foster care. It seems more and more people and organizations are coming to such a conclusion. Oftentimes they are then adopted out to non-Native families. According to years of research, Indian people, particularly those in South Dakota do not benefit from this system, as their families are ravaged and their cultural values, language, history and spirit are gradually eroded in a slow burn style genocide. So why does this happen, you ask? Enormous dollar signs are at stake, that’s why. One part of this complicated story can be traced back to George W. Bush and TMAP, or the Texas Medical Algorithm Project. Essentially, TMAP was a flow chart that asked children in foster care questions and then based on the answers recommended cutting edge, expensive psychotropic medications. These medications are not approved for use in children, research has shown they alter brain chemistry and in some instances have been found to cause suicidal tendencies in young people. A significant amount of money is involved, and members of the pharmaceutical industry lobbied government officials to allow them to continue making millions on the backs of the nation’s most vulnerable population. 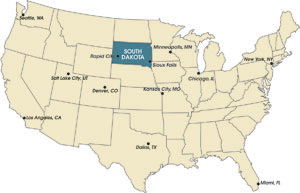 When Bush was elected to the presidency in 2000 he told his friend and colleague William Janklow, the governor of South Dakota, about TMAP and almost immediately it was integrated into similar government offices in South Dakota. The state had already figured out how to prey economically on the Indian people, who lack political clout and are largely ignored by national media, who have yet to truly figure out how to report on Indian Country. Basically, South Dakota receives more federal funds to house Indian children in foster care because all Indian children are classified by the federal government as special needs. Therefore, if the South Dakota Department of Social Services seizes an Indian child from the reservation and places them in the state foster care system, it means more federal dollars for the coffers of an otherwise poor state. Also, the system benefits the privatized aspects of the foster care system, including the Children’s Home Society of South Dakota, a private group home that the current South Dakota Dennis Daugaard used to run as its executive director. That’s right. Let me repeat that. The current governor of South Dakota used to run a private foster care facility that made money off of cycling children through their institution. Also, he left his career in banking to take the position of Development Director, if that’s any indication of the scale of dollars we are talking about here. So we have established that the pharmaceutical industry, the state of South Dakota and privatized elements of foster care in South Dakota all have a vested interest in entering children into the foster care system and Native children represent a perverse incentive for all of these ‘stakeholders’. Now let’s explore some other facts. From the late 1990s until current Indian children account for more than 50 percent of South Dakota’s foster care population despite comprising only 13 percent of the youth population in the state. Every year, South Dakota takes, on average, about 740 children from their homes. This is of course in direct violation of the Indian Child Welfare Act of 1978, which states that government institutions must undertake active efforts to keep Indian children with their tribes, not necessarily with their families, or on the reservations, but with members of their tribe. This is key to understanding. Fast forward to 2015, and the Bureau of Indian Affairs released sweeping new guidelines asserting rights and protections of Indian children and their families under ICWA. In an article for Indian Country Today, Suzette Brewer interviewed Kevin Washburn, the assistant secretary of Indian Affairs, and he essentially said the situation in South Dakota is one of the reasons the agency felt the need to release the guidelines. While a response such as this is to be expected from an organization that advocates for ICWA and for the sanctity of Indian families, what is more interesting is a statement released by the American Academy of Adoption Attorneys. What is the AAAA you ask? Well essentially it is a large well-heeled special interest group representing the interests of adoption attorneys. The fact that such an organization exists tells you about how the system is tilted toward the big pockets, which isn’t exactly a controversial statement. Specific to ICWA guidelines, the AAAA, rather unsurprisingly, issued a press release condemning the enhanced guidelines for all sorts of reasons you can explore here, if you are interested. Battles will continue to be waged over ICWA, regarding how it works, whether it works, etc. But in the meantime, there is an emerging consensus that South Dakota is the poster child for willfully violating the federal law and damaging the family networks of Indians living in their state. So it’s official: South Dakota is the worst. I find that everything that has been done to Native Americans since the white man first set foot on American soil has been destructive and aimed at totally annihilation of the native people. I, for one, think the whole thing about reservations and destruction culture and spiritual practices is unforgiveable. Taking the children is an abomination. I am “white” but do not agree at all with anything that is going on with the native people. I disagree with Leonard Peltier being in prison, I disagree with the government concentrating on taking native children and placing them in “white” homes, thereby destroying their heritage, for no reason other than they are American Indians. So many children in this country need foster care because of gross abuse by their parents but that is ignored. And here you have children being taken just because of the color of their skin. I wish I was still young enough to pack a backpack and make my way to South Dakota to fight for your cause. I would die proud. I have been dealing with DSS here in Aberdeen since this last August. Everything they have done from last August until now has been illegal. They have not only violated my civil rights under Title 18 Section 242 but violated the ICWA. I have contacted several lawyers and other CPS workers out of Aberdeen that tell me what their doing is wrong and illegal. It all comes down to money that I don’t have however to receive help as my lawyer, the judge ,DSS and everybody else involved is a part the Government and apparently Aberdeen can make their own laws and rules and me fighting by myself gets me heard but nowhere! I pray for people to step up and in this situation as its hell not only for me but the countless children they unjustly and evilily tear apart! Minnesota has long been the worst violator of ICWA, the numbers tell all, in large part due to the collaboration of tribal officialdom with deeply entrenched institutional and grassrooots racism.